Remarkably little attention is paid to Brazilian voices on the country’s nuclear policy. Brazilians paint a picture of an emerging power seeking nuclear independence and searching for its role in the global order. There is no shortage of international commentary on Brazil’s nuclear policy, especially its advanced nuclear fuel cycle and nuclear submarine program. But remarkably little attention is paid to Brazilian voices on these issues. Brazilians paint a picture of an emerging power seeking nuclear independence and searching for its role in the global order. Currently, Brazil mines and mills uranium, produces nuclear fuel, operates two nuclear power plants, and is building a third. The Brazilian navy is key in the nuclear field. It developed uranium conversion and enrichment technology, and, since the late 1970s, it has been working on developing a nuclear-powered submarine. Rivalry with Argentina was among the drivers of Brazil’s nuclear program. Today, the two countries work together in a bilateral nuclear safeguards regime to verify their nuclear activities are peaceful. Brazil has not signed an IAEA Additional Protocol on nuclear safeguards, primarily because it is reluctant to accept additional nonproliferation obligations as long as nuclear-weapon states do not achieve meaningful progress toward nuclear disarmament. Demonstrating Brasília’s potential to be an active player in global nuclear politics, Brazil and Turkey persuaded Iran to sign a 2010 joint declaration outlining a nuclear fuel swap, though the deal fell through. Negative past experiences help explain why Brazil seeks nuclear independence. 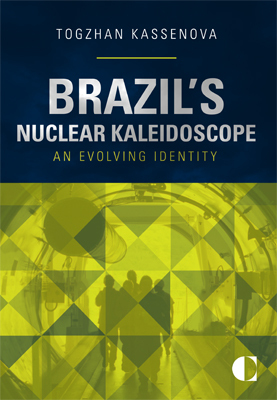 Brazil struggled to obtain nuclear technology from abroad, prompting Brasília to develop domestic capabilities. The nuclear industry is more ambitious than the government. Industry representatives believe Brazil could industrialize uranium conversion and enrichment if the government prioritizes the effort. The nuclear submarine program has multiple drivers. Brazil is pursuing development of a nuclear submarine to protect its coast and offshore natural resources and to stave off potential enemies approaching from the sea. Naval bureaucratic interests also drive the program. But above all, this quest reflects Brazil’s desire to bolster its international standing. Brazil will forcefully defend its interests on the global nuclear scene. Brasília’s assertive nuclear policy is indicative of the tensions intensifying within the global nuclear order between nuclear-armed and non-nuclear-weapon states, between disarmament and nonproliferation, and between nonproliferation and peaceful uses of nuclear energy. Brasília, for the foreseeable future, will criticize the unfairness of the nuclear order while attempting to carve out a role for itself in it. For Brazil, the nuclear order is a microcosm of the world order. Brazil sees the global nuclear order and the world order more broadly as unfair and antiquated. There is the usual mixup of nuclear weapons and nuclear power in this article. Weapons are not really useful for Brazil, whereas nuclear power would be.